Master storyteller Sonya Hartnett crafts a magical and moving fable about war and redemption . . . and what it means to be free. When the Germans attack their Romany encampment during World War II, Andrej and his younger brother, Tomas, flee through a ravaged countryside under cover of darkness, guarding a secret bundle. 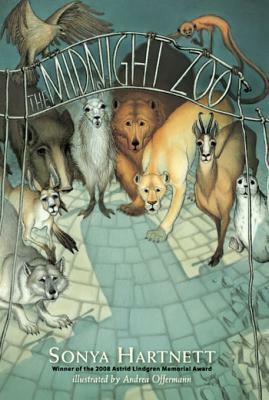 Their journey leads to a bombed-out town, where the boys discover a hidden wonder: a zoo filled with creatures in need of hope. Like Andrej and Tomas, the animals--wolf and eagle, monkey and bear, lioness and seal, kangaroo and llama-- have stories to share and a mission to reclaim their lives.